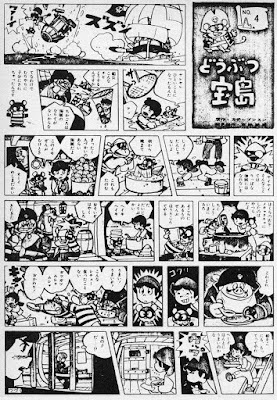 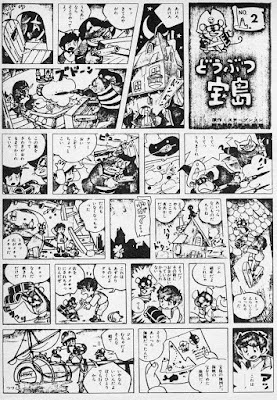 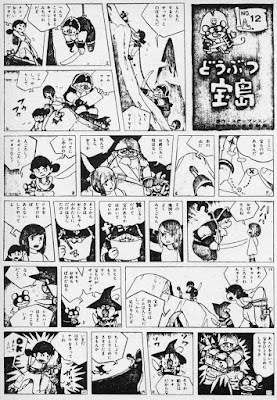 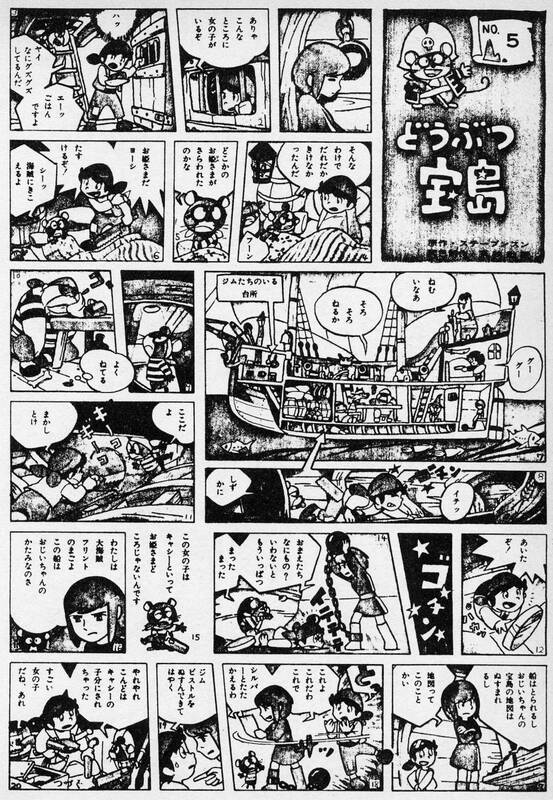 Since we recently looked at Hayao Miyazaki's newspaper comic adaptation of Toei Doga's Puss in Boots, I thought we should also look at his version of Toei's 1971 classic, Animal Treasure Island. 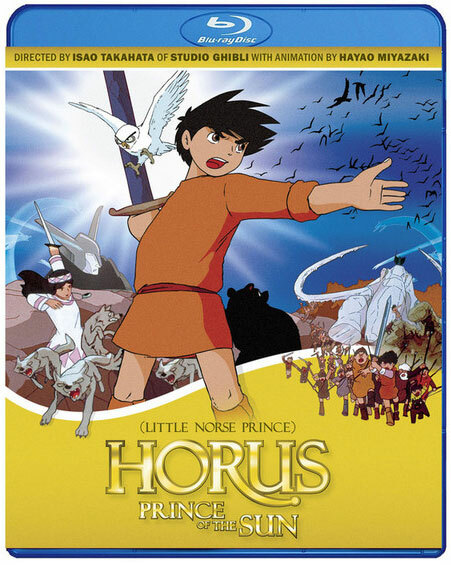 I love this movie, a true cartoon classic full of slapstick humor and adventure like a warm box of sunshine. These newspaper scans are all in black-and-white. 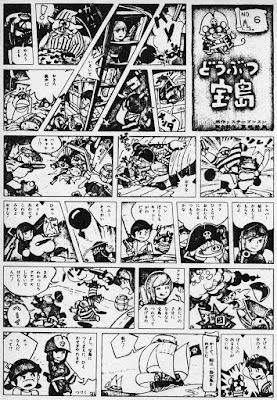 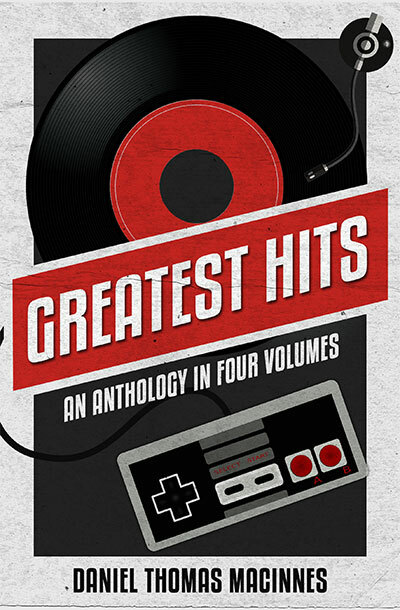 Judging by their quality, I have always assumed that the originals were in color, but that is only my personal speculation. 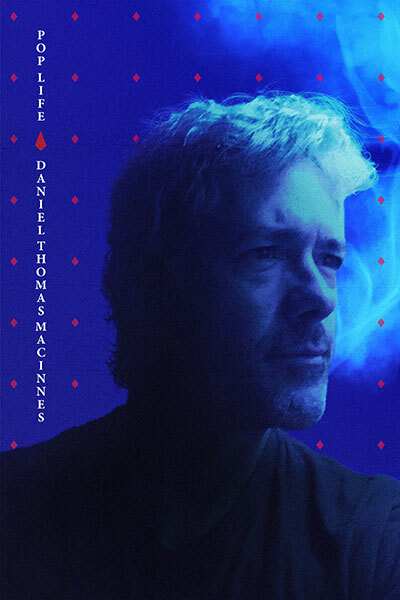 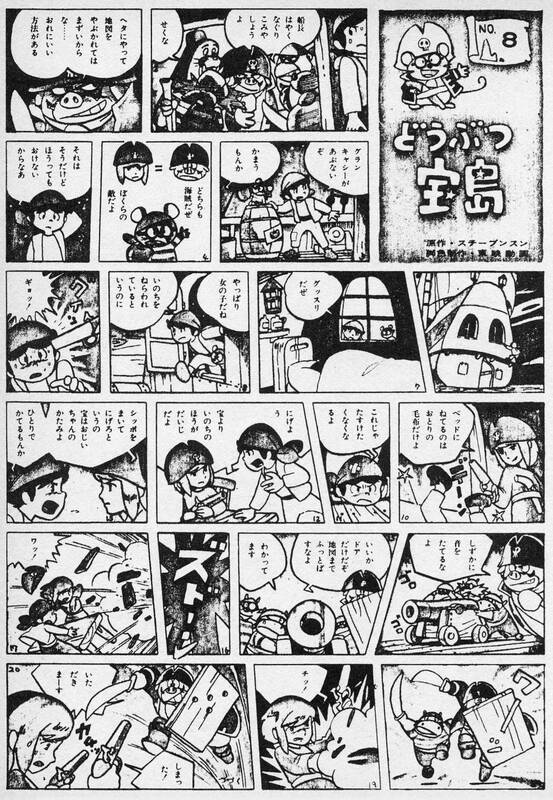 These look like they were run off a photo copier long ago, and then later scanned into digital computer files. 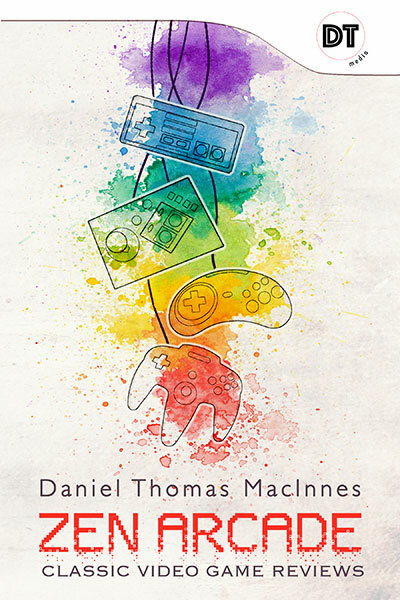 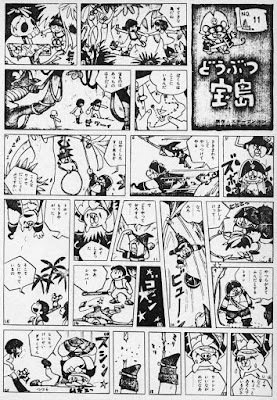 Thankfully, the page sizes are large enough so that you can read everything clearly (just click on the images to view at full size). 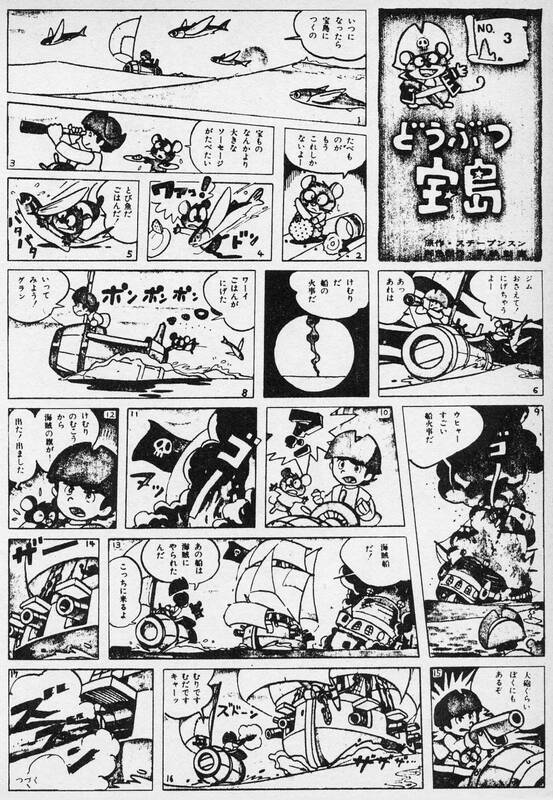 I would be very happy if we could find originals, but these remain the only preserved copies of this 1971 comic. 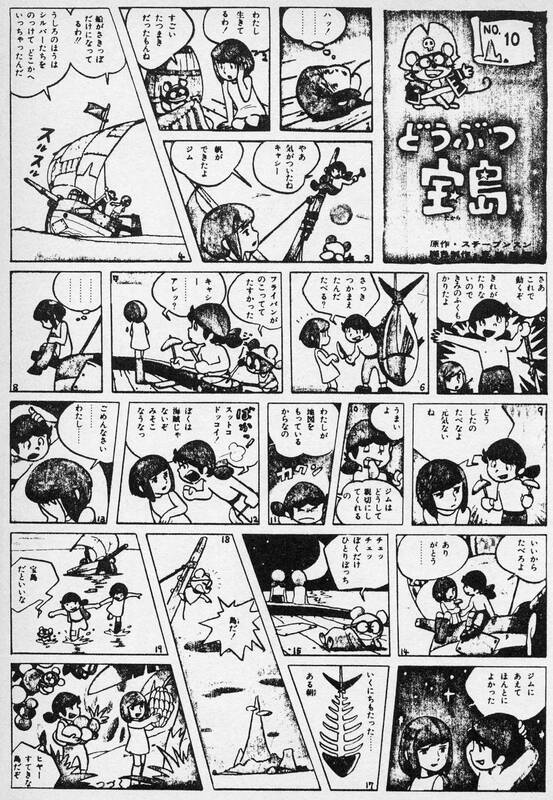 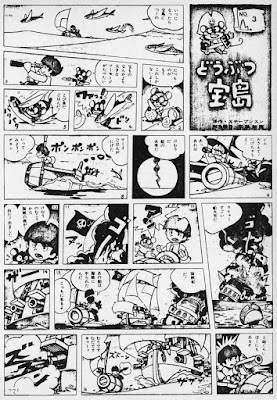 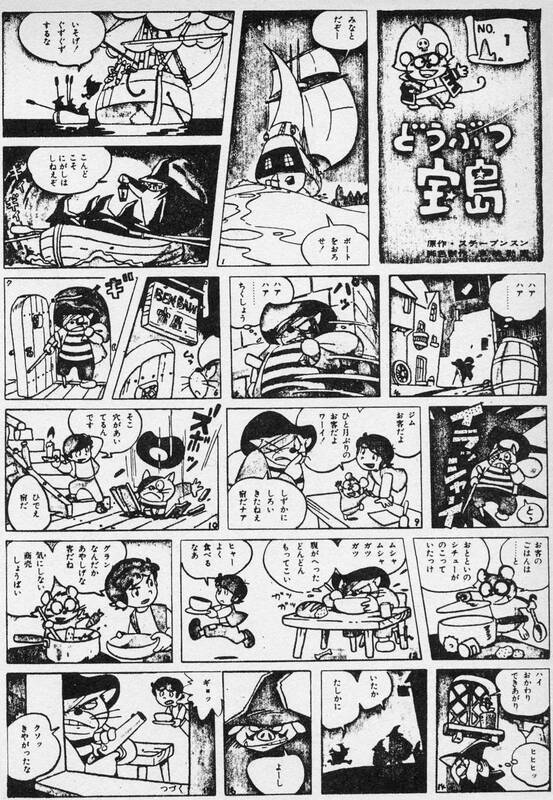 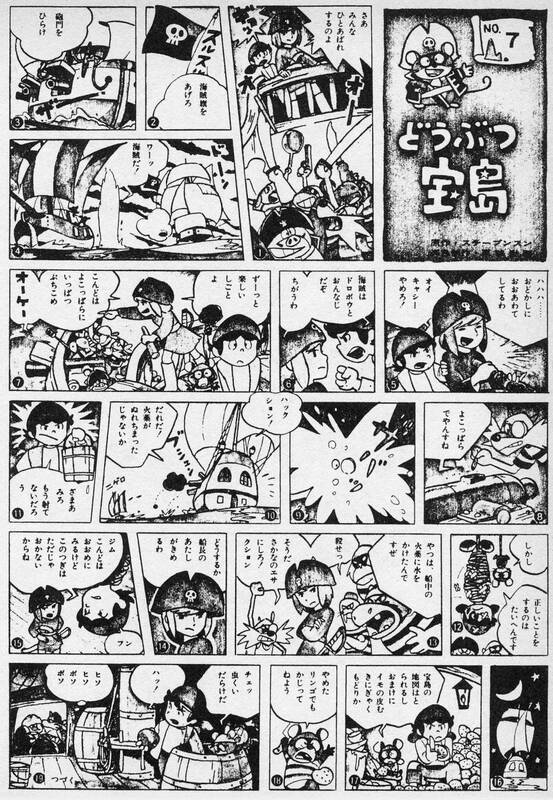 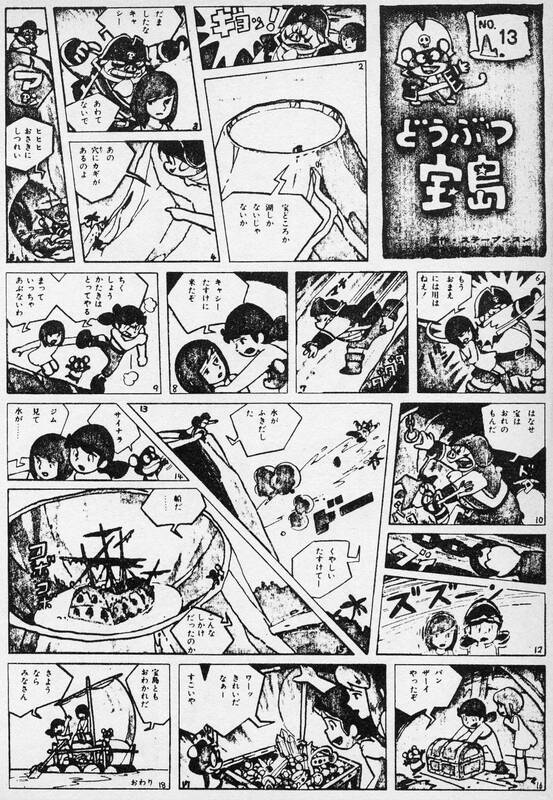 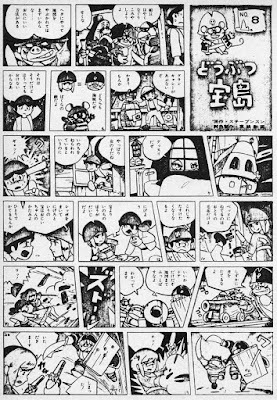 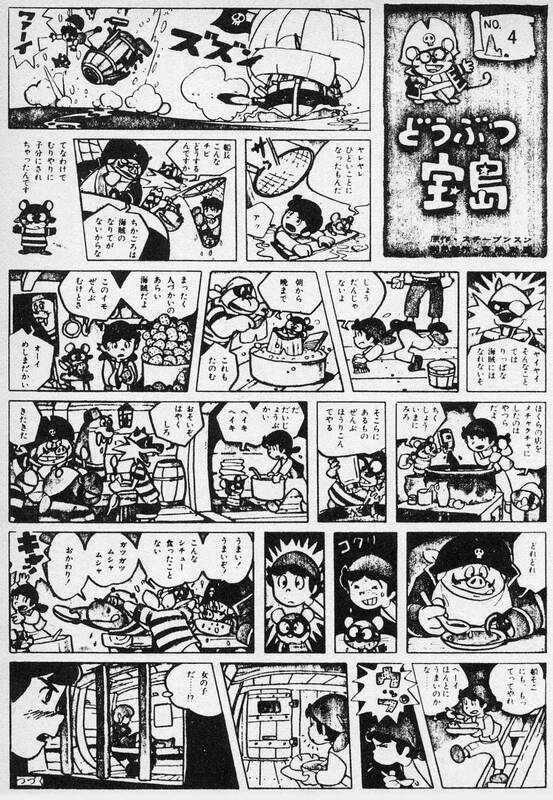 This Miyazaki comic appeared after People of the Desert, his original epic manga serial from 1969-70, and so we see his drawing style far more established than in Puss in Boots, which still followed the style of Osamu Tezuka and classic cartoons. Notice the extremely dense, packed pages, a Miyazaki trademark. 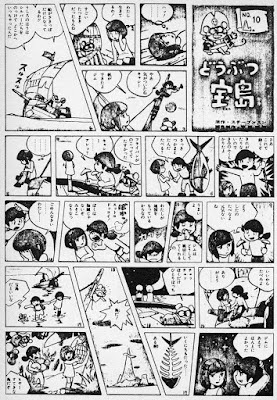 The arrangement of those panels communicates its own energy and tension, and it's a quality that continues throughout his career. 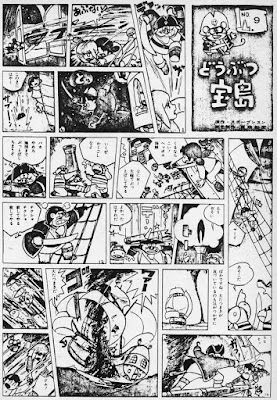 Most Japanese manga comics are very spacious, zen-like in their arrangements and compositions. 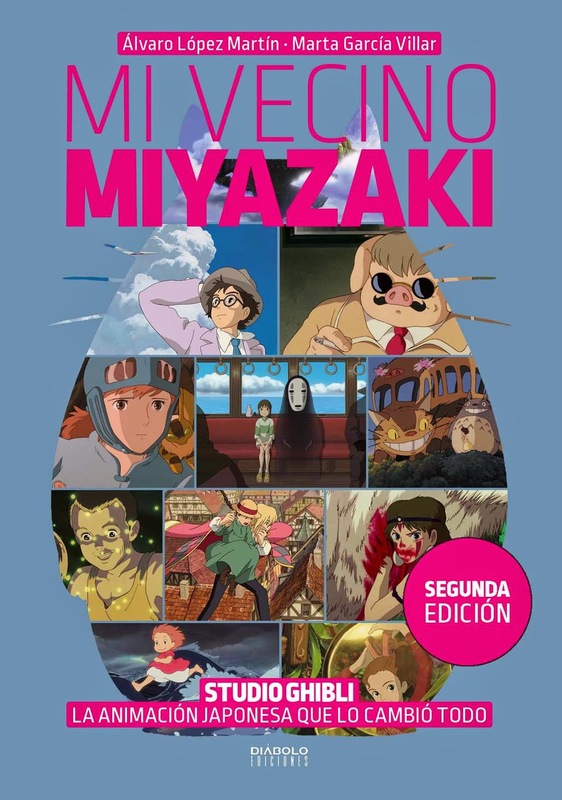 Miyazaki-san is just the opposite; he just packs together as much material as he can possibly fit onto a page. 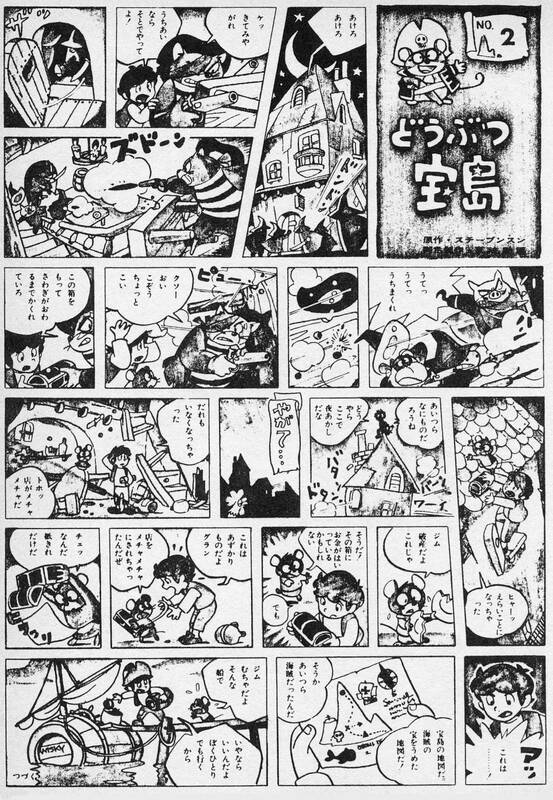 This Animal Treasure Island comic series follows the plot of the movie fairly closely, albeit in a condensed fashion, and with a lot of the lighter material removed. 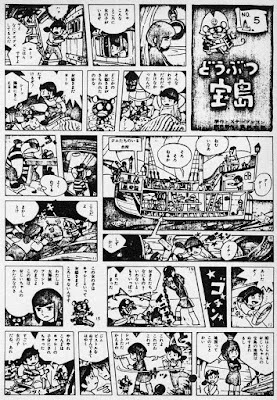 We don't get to see the famous pirate battle (conceived and animated by Miyazaki, one of his all-time classics) recreated here, but space was no doubt a premium and there's only so much you can do with 13 pages. 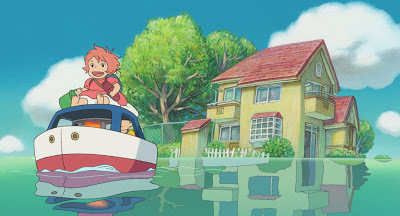 You just know that if given half a chance, Miyazaki would have cranked out at least a couple hundred without breaking a sweat. 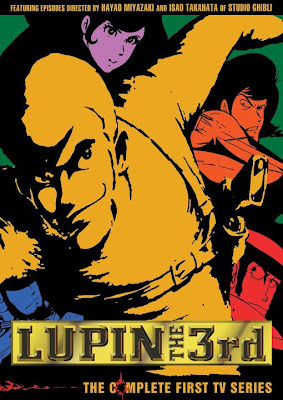 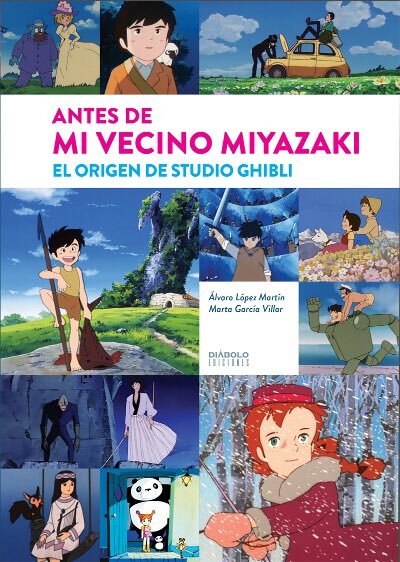 This comic comes at his final year at Toei, as Miyazaki-san left with Isao Takahata and Yoichi Kotabe to join Yasuo Otsuka at the A Productions studio to pursue their ill-fated Pipi Longstockings project, as well as Lupin the 3rd, where Miyazaki served as co-director with Paku-san. 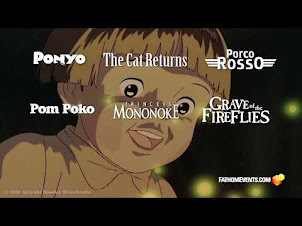 Add in the Pipi project, the two Panda Kopanda short films, assisting on a couple other A Pro anime series and putting together Heidi, and you just marvel at the man's work ethic. 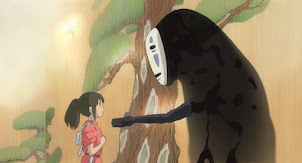 I don't think Miyazaki ever took so much as a coffee break during this time. 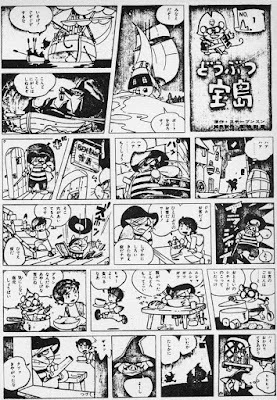 He must have lived solely on a diet of coffee and cigarettes and boundless ambition. 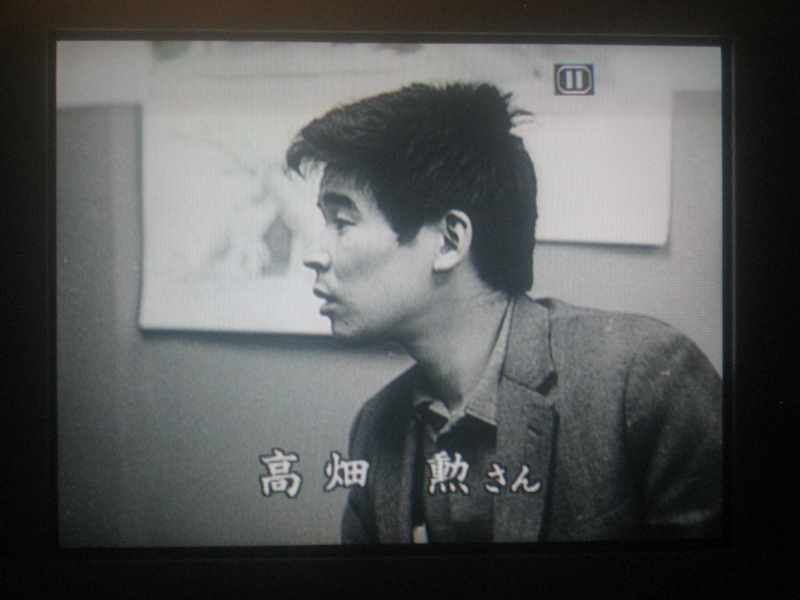 He was out to conquer the world and would settle for nothing less. 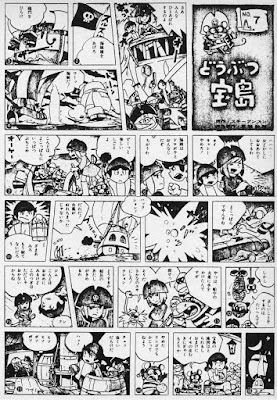 Wow, thanks for sharing these early Miyazaki comics - the Nausicaa manga is, in my view, his best work period, and as an aspiring comic book creator myself, any chance to see Miyazaki's other manga works is much appreciated. 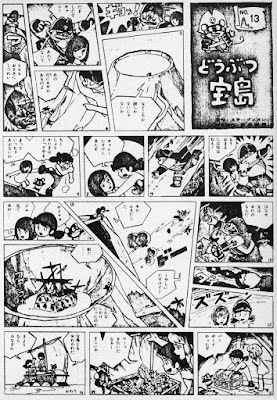 I'm particularly influenced by Miyazaki's 'packed page' style, which all throughout the Nausicaa manga really engrossed me in the story, so its fascinating to see it even here in one of his earlier comics.